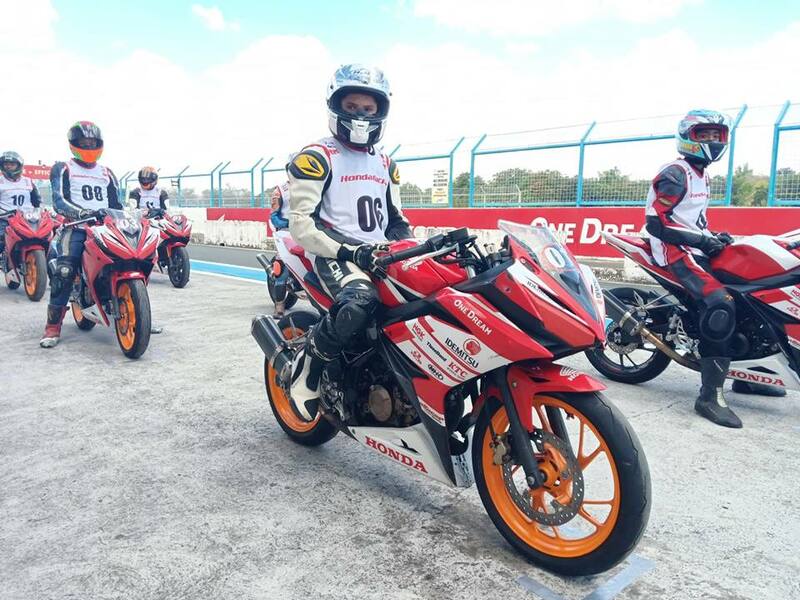 On January 26, 2019, Honda Philippines, Inc. (HPI) officially started its 2019 Motorsports season by conducting the Honda Pilipinas Dream Cup (HPDC) tryouts at the Clark International Speedway in Pampanga, Philippines. This served as the official selection process for nine talented young riders who will participate in the official races and undergo training in the Honda Racing Clinic. A motorsports program of HPI, HPDC aims to develop young riders in motorcycle racing using a specific one make race machine, which is the 150cc, MotoGP DNA motorcycle CBR150R. It is also a step up program of HPI to young riders to qualify for international race programs of Honda and immerse in different environments to become better equipped for competitions. Several riders registered as the day began, and the program was officially opened by HPI’s motorsports adviser Ryosuke Arai. Motorsports Group head Gilbert Sison welcomed the esteemed judges tasked to select the riders, namely racing coach Joey Rivero and Troy Alberto, international racer and HPI’s representative in Thai Talent Cup and Asia Talent Cup last 2018. They also oriented the participants on the try-out process and session inside the 4.2 km race track. Also present in the event is Unified Sports and Racing Association (USRA) president Eduardo Lumague. Riders of the ages 12-17 were qualified to participate in the program to pursue their passion of racing and hone their skills through the Honda Racing Clinic, which will be taught by Joey Rivero himself. At 10 a.m., sessions on the track began with four sessions held in total and a final shootout at the end. Riders showcased their skills and were evaluated by Rivero, Alberto and Sison. Nine riders and one reserve were able to qualify for HPDC, namely Carl James “Chino” P. Hung, Kurt Tristan “Ostong” Villanueva, Michael Nicol D. Lee, Christopher John “Kokoy” Mangibin, Sean Andrej Ondillo, Marco Gil D. Ventenilla, Joshua Gabriel S. De Leon, Travhys Ivan Joe Paralejas and Alfred Jakob Sablaya. The HPDC is running in the same schedule with the National Motorcycle Circuit Racing Championship. It is sanctioned by the USRA.